As a youngster Subp Yao always was on the lookout for new music. He did spent hours mixing and combining his favorite tracks with a cassette recorder. With knowing every record that was out there he developed his own taste for music. An obsession was born when a friend introduced him to producing music which gave Subp Yao the tools to create his own sound. Driven by his passion it didn’t took long for his first track to be released on Saturate records, followed by Doggtown Records and Last Gang to name a few. His ability to combine all sorts of genres like trap, bass, hiphop, uk garage in different tempos really caused some movement in the scene. Especially the top noted heavy basslines were quickly noticed by the scene leaders such as DJ shadow, Low End Theory (DJ D-Styles & GasLampKiller), DJ Shiftee, LuckyMe and Munchi. 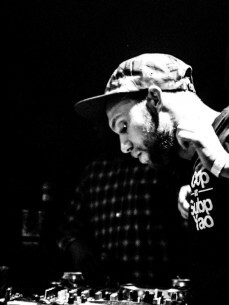 Their support contributed heavily to the spread of Subp Yao’s characteristic sound. Also Subp Yao’s tracks have been aired on some major radio stations, namely BBC1, 3FM, StuBru, Rinse and shared by renowned music platforms such as 22 tracks, XLR8R and GenerationBass. Today Subp Yao has played at numerous stages from Fusion Festival (Germany) and Satta Festival (Litouwen) to Social Club in France. Besides performing solo he also collaborates as a duo with dOOp and within the Dogggtown Collective. The last being a collaboration of Beaudamian, BoeBoe, GANZ and Guerilla Speakerz doing incredible well with their crew’s release ‘Welcome to Doggtown’ gaining support of the biggest players worldwide.